Problems do exist. As sure as that is, so are solutions. I’m sure you are reading this so that you can know how to solve the problems facing your business. The truth is, even if your business is not facing problems, you need to know what to do to avoid that. In these post, you will learn new things that will help your business productivity. These are the 28 amazing solutions when business is bad. Please note, I will be explaining some of these solutions and give tips for other solutions. You are free to use the tips here to learn more. - Why did you start/setup the business? - How can you create new customers? - How can you keep the customers? If your reason for setting up a business is profit, you have limited your business already. Your main reason is to get and multiply customers. 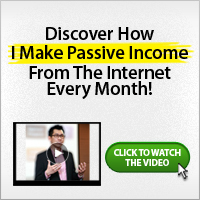 If all you have been doing in looking for profit, you need to reconsider. You need to start getting customers. This may involve selling to your customers at cost price some times. Create, Keep and Multiply customers. Are you marketing? Are you selling? Sell or be sold. Market or die. If you run a business and you don’t like marketing, your business will not only be bad it will also be worse. To do marketing effectively, please answer the questions below sincerely. - specialization: what’s your niche? - Segmentation: who are your potential customers? - Differentiation: what’s your uniqueness? what makes your product unique? - Concentration: where does your focus lies? Now go ahead and work on your area of specialization, segmentation, differentiation and concentration. - People: Delegate duties. Ask for suggestions. Organize staff meetings. Give your staff more praise. Stimulate your staff to read good books. Promote some of your staff. Sack some of your staff. - Products: Provide the best and the finest. Have passion for your products. Transfer that passion into your staff and customers. Improve your products until it becomes outstanding. Is your product better? can it be tried? Is the effect visible? - Place: This can be your website, blog, office, shop etc. Make sure you improve on the aesthetics of your place. Image matters to your business success. Improve on your image. - Price: Don’t charge too much. Offer discounts. - Promotions: Improve your promotions. Do adverts effectively. Wikipedia defines it as the strategic advantage one business entity has over its rival entities within its competitive industry. Achieving competitive advantage strengthens and positions a business better within the business environment. - what could your competitive advantage be? - what should your competitive advantage be? - what’s your Unique Selling Proposition? - what is your area of excellence? Come up with at least 30 competitive advantage for your business. At the end of the process, you have created a brilliant competitive advantage for your business. - Leverage Influences: These are people who are in your niche but can still promote your business. These works a lot. Get them to talk about your business. - Inculcate passion for your business in your employees. 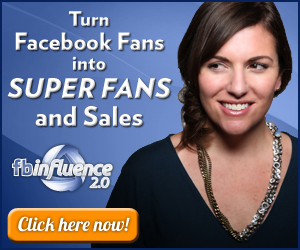 - Leverage on your Fans: Who are you fans? Get them to talk about your business. Do competitions. Find out if the negative thing is true. If it is, work on it and clear the air. If it is not true, continue your business. It will soon die. 12. Always say ‘thank you’ for patronage. - join them, help them, listen to them, be genuine, be professional. Kaizen is a Japanese word for “improvement”, or “change for the better”. This refers to philosophy or practices that focus upon continuous improvement of processes in manufacturing, engineering, development, and business management. It has been applied in healthcare, psychotherapy, life-coaching, government, banking, and other industries. By improving standardized activities and processes, kaizen aims to eliminate waste. Kaizen was first implemented in several Japanese businesses after the Second World War, influenced in part by American business and quality management teachers who visited the country. It has since spread throughout the world and is now being implemented in many other venues besides just business and productivity. Now that you have read through the 28 amazing solutions when business is bad, it will do you no good if you don’t practice all or some of the solutions above. Finally, I will like to read how you intend to apply these solutions to your business. To learn more about Business, please read through our previous posts or through the related posts listed further below. You should also subscribe with your email address, RSS, follow me on Twitter, become my friend on Facebook, become my friend on Linkedin and become my fan at www.facebook.com/jadesojiadegbulu so as to get more effective posts delivered to you as soon as they are made available here.